Westleigh Boarding House, Park Road, St.Annes-on-the-Sea. Westleigh Boarding House, Park Road, St.Annes, St.Annes-on-the-Sea, established in 1894. This pair of semis is now converted into flats. 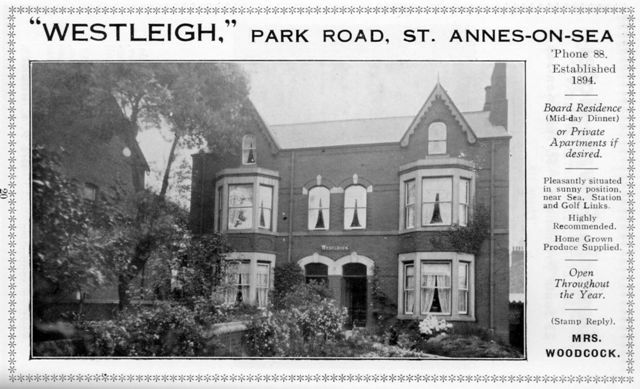 The Westleigh Boarding House, Park Road, St.Annes, St.Annes-on-the-Sea., an advert from 1925.